If you know the SBP team, you’re well aware of what gets us going. Sure, homes are our major point of convergence, but in order to kill the real estate game, we obviously need a killer cup of coffee. Plus, we’ve sipped our way through LA to know who’s pouring the best brew, so drink in our list of go-to joints below and get caffeinated. For us, there’s really no place like home. We’ve decked out the Smith & Berg Partners office with all the best gadgets, including—of course—our beloved Nespresso coffee machine. With just the click of a button we’re sipping primo joe in the comfort of our very own Brentwood flagship. Located in our old stomping grounds of Beverly Hills, Aharon Coffee is amongst the best in the brew biz. With a variety of roasts from different corners of the world, Aharon pours a mean blend that you can take home for yourself, too. Plus, a word from the wise: don’t shy away from their in-house hazelnut and almond nut milks. An unwavering LA favorite, Alfred Coffee is so much more than their epic branding. In fact, they serve up some of the best coffee for what has now become a chain throughout the city. And, if you’re looking to funk up your order, consider the matcha latte. Your Instagram will thank you. Blue Bottle has been a longtime favorite of ours and we’re stoked to see new shops popping up left and right throughout LA—and, well, the world. And beyond having a delicious menu, the cafes are all beautifully and minimally designed with a sweet modern flair. 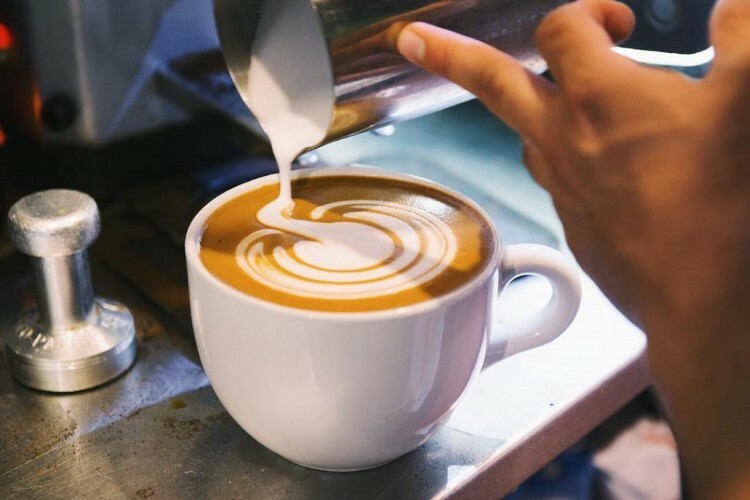 A Los Angeles-based, small-batch coffee roaster with cafes in both Santa Monica and Brentwood, Caffe Luxxe dishes out our favorite cappuccino in town. Pair it with an almond croissant and boom—you’ll never go anywhere else. Coffee Tomo is for sure West LA’s quirkiest counter-serve stop for house-roasted beans. And when we learned that Tomo is Japanese for friend, well, we were completely sold. It also doesn’t hurt that they have some of the best fresh-baked pretzels in LA. When you’re bopping around Abbot Kinney, Intelligentsia is an absolute must. One, it’s a radically hip joint that’s required when in Venice, and two, their coffee is entirely nonpareil. After all, you’ll need a strong cup of coffee to keep up with a day’s worth of shopping. Located in both Pacific Palisades and Woodland Hills, Juicy Ladies is a colorful cafe serving up organic and vegan fare, plus tons of coffee and healthy drinks. Order the cinnamon oat latte and a farmers burrito and you’ll feel readier than ever to take on the day. 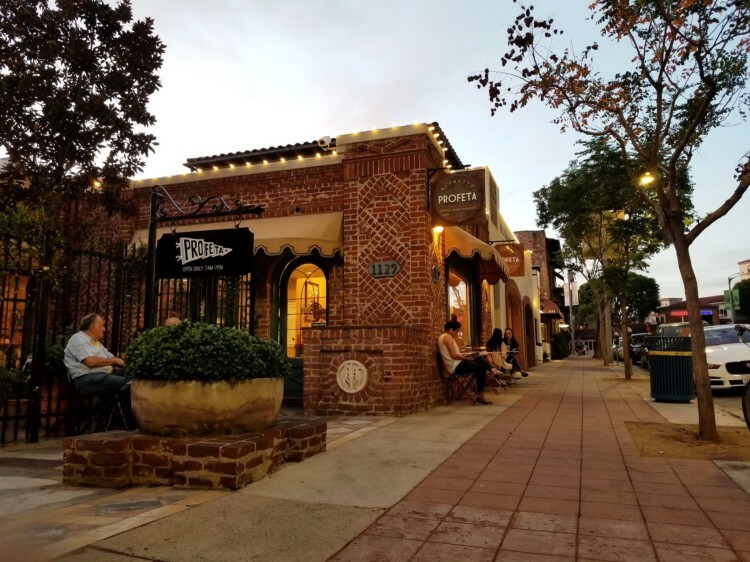 Set within Westwood Village, Espresso Profeta has been, is and always will be a SBP favorite. The cozy brick-walled coffeehouse has an ivy-clad patio that’ll make you feel like you’re sipping on a warm cup of coffee in Paris…which we clearly can’t say no to. Santa Monica’s ever-beloved Prima Passo Coffee is a casual yet refined coffeehouse in a chic, glass-heavy space. Perfect for the most discerning coffee lover, this joint totally aces the traditional European test. Last but certainly not least, Urth Caffe. A true Santa Monica staple, Urth Caffe has an array of organic blends that are handed to you in a cup the size of your head. So, if you’re like us and drink coffee as though it’s water, make Urth your go-to for everything massively delicious. If you’re in the mood for a unique cup of joe, look no further than Tom N Toms. Located in Koreatown, the revolutionary coffee joint is pouring up some of the most delicious vegan drinks in LA. Try their sweet potato latte and you’ll never look back.